Want non-fiction that really gets you buzzing? That shows you the world from an incredible fly’s-eye view? (Fact: flies have the fastest vision in the animal kingdom.) Or that takes you up close into places where no human can go – but a fly totally can? Then say hello to Fly Guy Presents! In this series, the legendary Fly Guy and his human friend Buzz explore your favourite non-fiction topics. Jokes, colour cartoons, photos, amazing facts, secret fly wisdom, reading practice… It’s not like any other non-fiction. Nope: it’s way more fun! 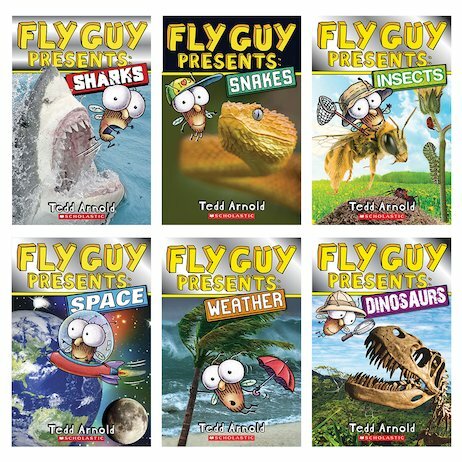 Tedd Arnold is a bestselling author and illustrator, with nearly fifty books to his name. He lives with his family in New York.